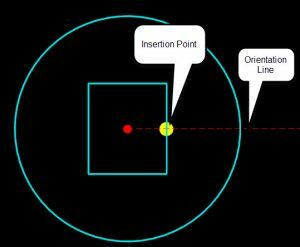 In the OpenRoads Subsurface Utility tools, the rotation of nodes is always stored internally as an absolute angle. 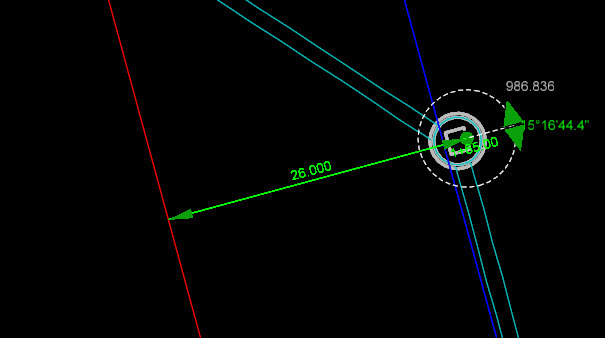 As you can see in the next image, even though the selected node appears to be relative to the red centerline, if you look at the angle manipulator, you can see that the node rotation is stored as 15.16.44 relative to due east. This is because the current versions of OpenRoads do not support the concept of a rotated point. So, does that mean you are stuck with using your eyeball to set the rotation as best as you can? No, we can use Civil Accudraw to assist us. Then, the next prompt is to define the rotation. 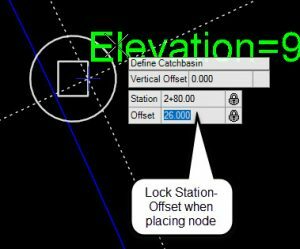 Since Civil Accudraw remembers the last entries which were locked, it will “snap” to the same station as we used to define the node position. Notice how the dotted line which runs perpendicular is a little heavier weight. 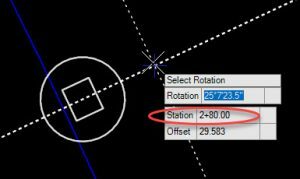 This is an indication that the same station is being recalled and we can thus know that the rotation is perpendicular to the alignment. So, then what if we have a node which was already placed and we need to correct the rotation? First select the node which is rotated incorrectly. 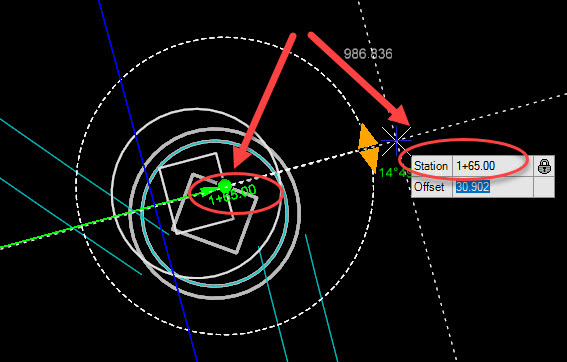 Make note of the station of the node as seen below. Select the rotation drag handle and move your cursor so that it is near perpendicular. Then type the exact same station value to help force the rotation where it needs to be. IMPORTANT NOTE: This tip only works when the feature definition cells are configured such that the orientation line in the plan view cell is constructed perpendicular to the centerline. Robert has over 25 years experience as a practicing engineer and is licensed in the State of Tennessee. After graduating from Tennessee Technological University, Robert worked for the Mississippi State Highway Department, Bridge Design Division. Then he spent 12 years with the Tennessee Department of Transportation in the Roadway Design Office and later served as Regional Manager in the Design Survey Office. From 2000 to 2006, Robert worked for Robert G Campbell and Associates in Knoxville, TN where responsibilities included roadway, site, and utilities design projects. Joining Bentley Systems in March 2006, Robert wrote specifications & documentation for software development. Duties included testing, customer feedback and ensuring the products met the needs of the civil engineering user base. He also developed training material for education both internally to Bentley and for outside organizations. He served as Product Manager for Utilities Products, including the new OpenRoads Subsurface Utilities Design and Analysis software. Robert also provided guidance and implementation services for new technologies. He is a frequent presenter and trainer at user conferences.